The students are attending the United Nations General Assembly Special Session on Drugs (UNGASS) in New York City, April 19 to 21. The group is sponsored by Canadian Students for Sensible Drug Policy (CSSDP) — a grassroots network of students concerned about the negative impact current drug policies have on individuals and communities. 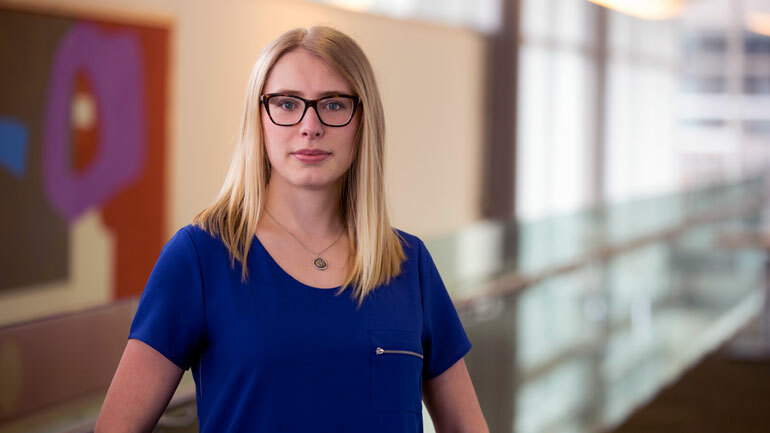 Thiessen co-founded UBC Okanagan’s CSSDP chapter last year. Since then, the student club has organized a number of drug policy-related lectures on campus and provided an opportunity for students to be trained to administer naloxone, a compound which can reverse opioid overdoses. This training was conducted through the Outreach Urban Health Centre in downtown Kelowna. Gonzo Nieto, with Concordia University, is the co-chair of the national board of CSSDP. UNGASS is the only meeting of the UN where all 193-member states have equal representation. This particular meeting is occurring three years early at the request of the Guatemalan, Mexican, and Colombian governments who have highlighted an urgent need to reform the existing drug strategies and modernize international drug treaties. Thiessen is a fourth-year psychology honours student at the Irving K. Barber School of Arts and Sciences who will begin her masters in clinical psychology at UBC this fall under the supervision of Zach Walsh, co-director, of UBC Okanagan’s Centre for the Advancement of Psychological Science and Law. UBC Okanagan student Michelle Thiessen is heading to New York to participate in the United Nations General Assembly Special Session on Drugs.